In, Too much sugar can be bad for banks (July 16), editor Lukanyo Mnyanda makes an interesting point about trust and investment. The example he uses is of an Investec analyst’s critical report on Tongaat Hulett referring to their “appalling” set of results and a decade of under-performance. While Mnyanda had a bigger point to make, the analyst’s comments gave me pause to critically reflect on my industry for a moment. Two prolonged droughts in the past decade; the introduction of a sugar tax causing lower demand for sugar; imported sugar allowed to flow into the country “duty free” for several weeks this year; and misinformation on transformation successes compound the challenges facing our local industry. 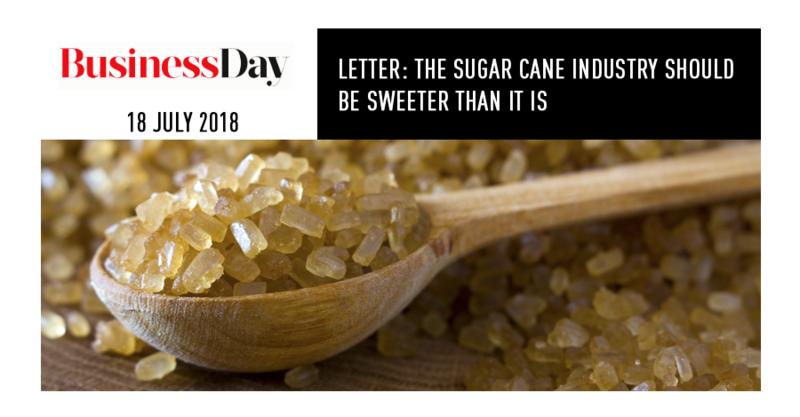 The biggest challenge, however, remains the failure of the South African government to declare a dollar-based reference price and establish the level of protection required through an import tariff against the impact of low-cost imported sugar being dumped on the local market. The businesses of the 24,000 growers, most especially small-scale growers and beneficiaries under the South African Cane Growers’ Association’s myriad transformation and land reform projects, are under serious threat. With a market-related tariff on imported sugar in place, the sugar growing and milling industry could refocus their attention on the immense opportunities to contribute towards job creation, land reform, and sustainable transformation for small-scale farmers. Over the past six years, about 5,000 black cane growers’ agronomy and financial training funding was supported by the Grower Development Account Fund, in which the industry has invested R135m; R86.4m of this — more than two thirds — was contributed by the Cane Growers’ Association, and is used exclusively for the benefit of black small-scale growers’ training and development. It is clear that SA’s sugar-growing industry has much to offer our country, but without the necessary support from the government, the potential of 24,000 farmers is restricted and 85,000 jobs will not only be limited, but in all likelihood destroyed. The impact of this travesty on the Kwa-ZuluNatal agrarian economy will be disastrous given that the sugarcane industry is the backbone of small-scale farming in the region. 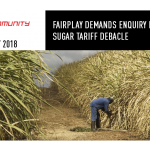 The International Trade Administration Commission (Itac) has now been asked by the entire sugar-growing and milling industry to consider adjusting the dollar-based reference price on which the imported sugar tariff is based from $566 a tonne to $856. 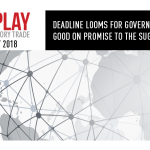 Having been given all the required information, can Itac afford to preside over delays in fixing the tariff crisis and provide this industry with the lifeline it needs to survive?